I propose changing Clan stats for several nodes to keep Clan heat sweet and simple. And allow it to not modify previous builds. It only requires two values to be adjusted on the Clan skill tree. 1. Heat dissipation(AKA cool run) changed to 3% per node for a total of 15% for Clan. This is the previous max value and sustains several weapon combos/attacks. Note: It is potentially important that Heat Containment also remain at or near 3% per node for 15% max for Clan or this has no point. 3. To compensate I propose giving IS Weapon heat gen a 1% per node for 14% weapon heat gen reduction. This also tend to simplify IS weapon loadouts to closer to round numbers if I'm not mistaken. 4. Change heat containment to 2.5 per node(12.5%max) for Clan to potentially balance clan alphas and give them more character. (possibly even bringing it down to 10%(I beleive it's old value) and 2% per node might be useful. It would help the clan remain clan like.) I recommend the 10% heat containment for balance. 5. Alternatively, having both Heat Gen and CD for Clan at 11.2% gets very interesting results. This on top of 15% dissipation and 10% capacity. Particularly for PPCs. ***BTW, this setup for clan might make it so higher damage alphas on clan side tend to make the mech do a micro overheat shutdown. This gives the skill quick ignition use and gives a balancing factor for higher alpha strikes on the Clan side. Where as slightly smaller alpha strikes will not as easily trigger this. The first combo produces better likelihood for higher alpha strikes to shutdown. 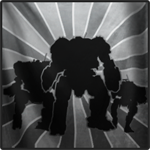 This is better for balance and gives/maintains the character of Clan mechs. This would allow the Clan to remain sweet and simple and have weapons that easily line up for good powerful weapon combos. IS can then be made for heavy specialization. Which from what I've always seen seems to be their main strategy. Maybe also give IS a slightly different tree(if needed) with more points for more specialization if needed. Maybe IS gets 100 max points and Clan 91. Then Clan mechs are more expensive to buy but a little cheaper to master. Whereas IS is cheaper to buy but more costly to maximize. you could even change the cost per node to increase the difference a little. Make Clan a little Cheaper per node. say because their equipment is better designed around quality and cost effectiveness. Where as IS is less efficient but has more options/specialization. If Clan nodes cost even 10% less than IS this would make a difference in overall cost to master given IS gets 9 more total points. Given the general difference in mech costs per faction. This is a fairly good compensation. Or should this go the complete other direction with IS having more points and equal cost? Edit: An untagled system with more options for heat and CD and whatnot for each weapon and weapon type would be better. then you could fully customize your mechs. It would also be easier to adjust values as the number of nodes could be changed easier and merely be a range. Then to customize mechs shutdown specific nodes per mech when needed. This is even simpler for Clan. 15 Cool run; 15 heat containment, 12 heat gen, 12 CD... It makes all the mechs turn out correct. this combined with giving IS more nodes might be a better route. Edited by Arugela, 28 May 2017 - 03:06 PM.